For both new and established patients, the contact lens evaluation and/or fitting is performed after a comprehensive medical eye examination, and before contact lenses can be ordered. Eyes come in different sizes with shapes and curves that are very carefully measured. These measurements provide detailed information needed to determine which contact lenses are right for you. Sometimes, after you wear your contacts for long periods of time, the lens that appears to fit well initially, may have to be changed to improve comfort ,or vision. In some cases, the health of your eyes can be affected by your contact lenses, so follow-up care is especially important. Medical conditions, like dry eyes, diabetes, and allergies, can affect your eyes and the response to contact lenses, too. Contact lenses are a medical device, regulated by the Food and Drug Administration (FDA), and must be monitored on a regular basis. For successful long-term lens wear, follow up contact lens evaluations are recommended yearly. Always keep your scheduled appointments with your professional eye care specialist. Regular follow-up eye exams and contact lens evaluations ensure that your eyes are healthy, and that your contact lenses continue to provide you with optimal vision and comfort. The fees for initial contact lens fittings, and also for established contact lens wearers, will vary depending on whether minor or major changes to the prescription are being made by your eye care specialist. 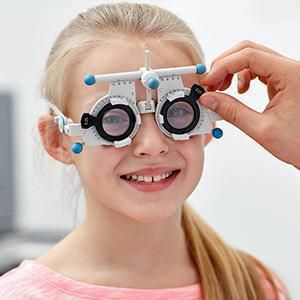 Our board certified optometrists will happily discuss your individual vision needs, which lenses will work best for your lifestyle, and the appropriate fees. Some vision insurance plans may pay a portion of the cost of the fitting, exam and/or lenses. Our opticians can assist you in using your benefits to your best advantage. 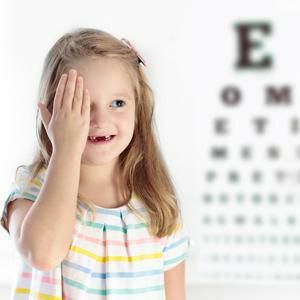 We participate in Vision Service Plan, Medical Eye Services and Eye Med. We will perform a thorough contact lens evaluation, for both new and existing contact lens patients, before we write a contact lens prescription or dispense any lenses. 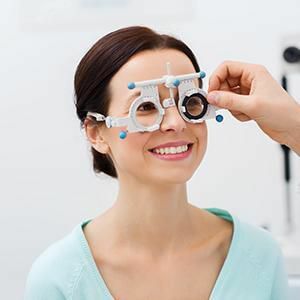 Even though your new lenses may seem perfectly comfortable, as wearing time increases, the lens fit must be re-evaluated to assess the response of your eyes to the contacts. Many contact lens problems are subtle and start with few or no symptoms, so even though the lenses seem to be comfortable, we need to recheck your eyes as scheduled. Reordering and replacement contact lenses will only be provided to patients who have been fitted in our office and who have completed the follow-up visits necessary to ensure the appropriateness of the prescribed lenses. The cost for the replacement contact lenses applies only to the contacts themselves. Any professional visits necessary to readjust the fit, change the power, or address medical issues are not included in the fitting fee. Refitting with new contact lenses or major modifications in contact lens parameters after 90 days will be associated with an additional charge for the contact lens professional fitting fee. This includes, but is not limited to, changing prescription, power, lens type, brands, colored lenses, and Halloween contacts. We fit a wide variety of contact lenses to correct your vision, as well as cosmetic and colored contact lenses to change the appearance of your eyes. We also offer bifocal contacts lenses for adults and for children to help slow the progression of nearsightedness. Contact lenses are a medical device and must be monitored on a regular basis. For successful long-term lens wear, always keep your scheduled appointments with your professional eye care specialist. Regular follow-up eye exams and contact lens evaluations ensure that your eyes are healthy and that your contact lenses continue to provide you optimal vision and comfort. To schedule an appointment for a vision evaluation and contact lens fitting with one of our excellent optometrists, call 650-259-0300 today.